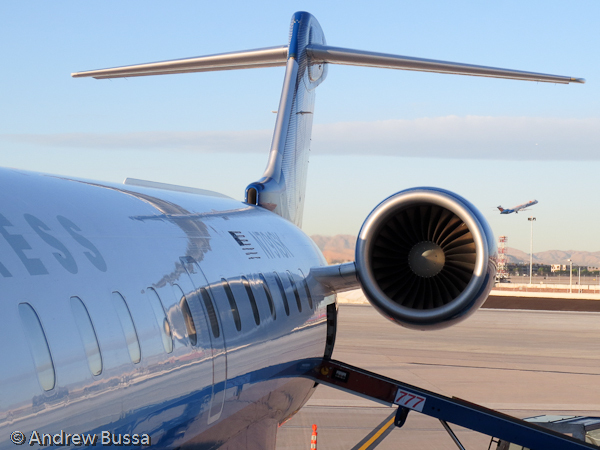 I like this picture of an Allegiant Air jet taking off from LAS. Quick tip too, when boarding CRJ's, board last. There's no overhead bin space to fight over, so no reason to be cramped longer than needed.